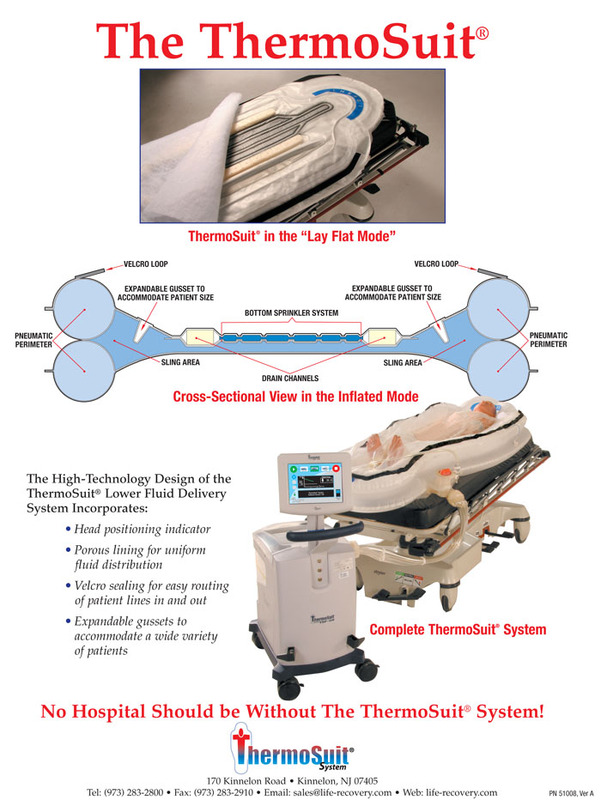 The ThermoSuit® cools your patient with direct water on skin contact. The water flows over the patient and is returned to the pump. 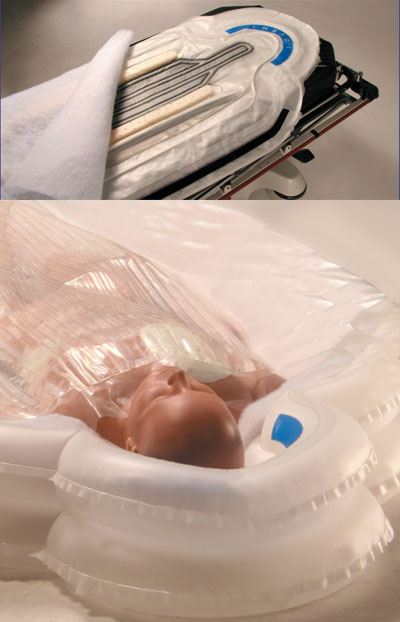 A continuous flow of water is cycled through – drawing heat off the body in a much more rapid process than either gel pads or cooling blankets – a treatment period of about 30 minutes is usually sufficient to cause a body core temperature reduction of 3 degrees C. The suit is portable and is used on a conventional gurney. As your patient reaches the target temperature the water is drawn off the patient and the ThermoSuit® is rolled up and discarded. Your patient will stay cool for hours after removal from the ThermoSuit. With an intuitive user interface and portable, easy-to-set-up design, the ThermoSuit® System is the simple solution for emergency cooling.